Bali's Bukit Peninsula is located at the southern tip of the island. 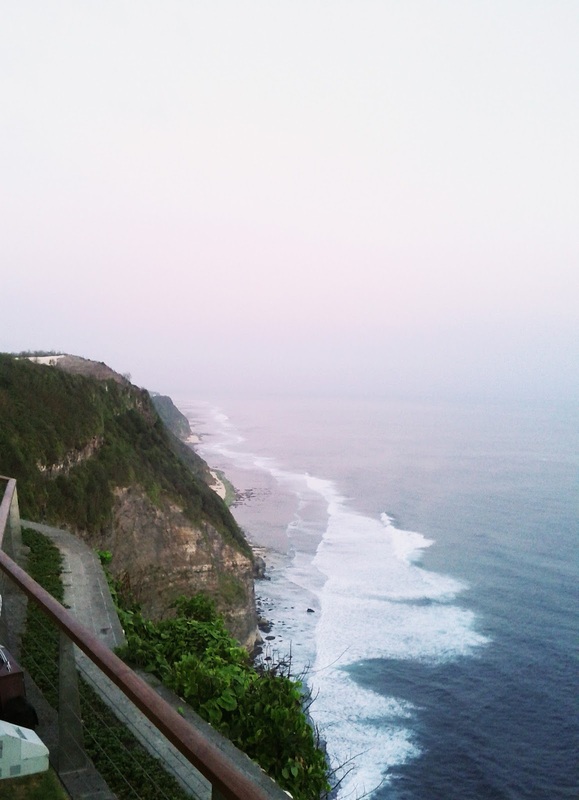 It stretches all the way from Jimbaran to Uluwatu / Ungasan. 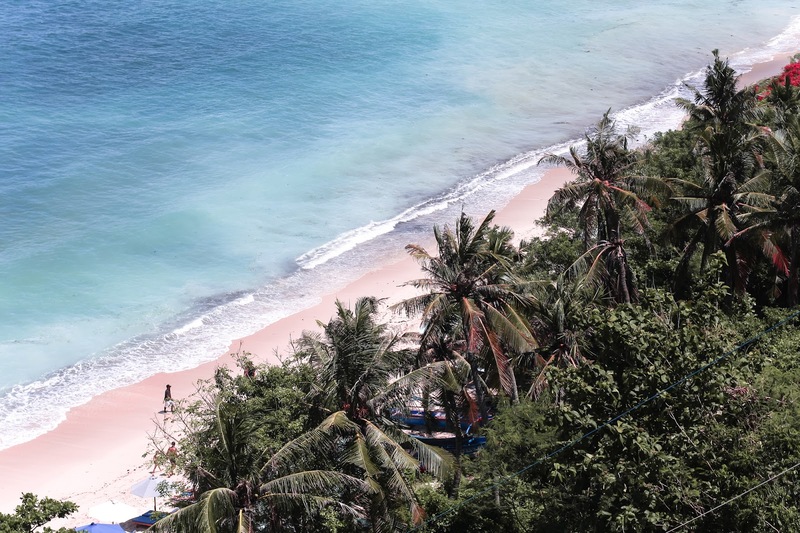 Unlike the famous neighbourhood of Bali and Seminyak in the city center, the beaches on this shore are located below a cliff. If you are looking for a spectacular sunset, look no further than these points to enjoy sundown your way. 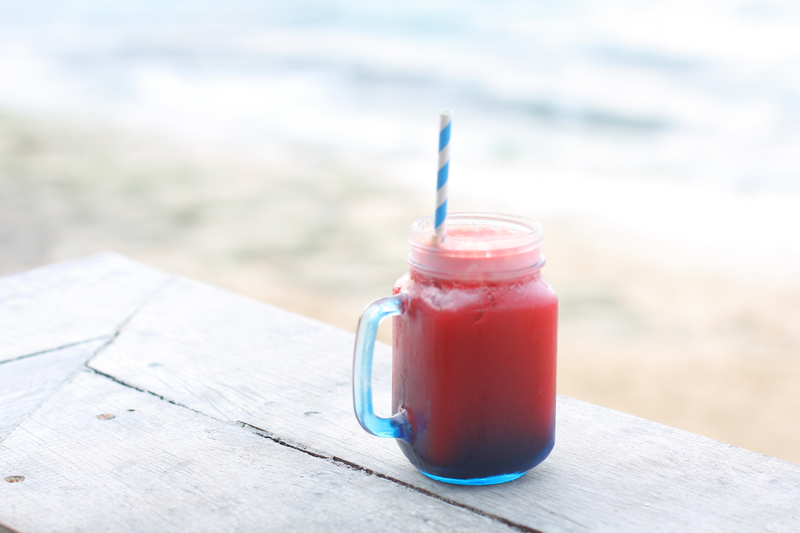 I will show you some of the best beaches on the Bukit and what to do / where to stay nearby. I did not explore everything in one go tough as, really, Bali is not as small as you think it is! Public transportation is not easily found in the vicinity. I recommend you to drive a car or scooter to find your way to these areas. You can also have a one-way cab or uber from the city if you decide to stay in one of the hotels and arrange another transport back to the city the day after. 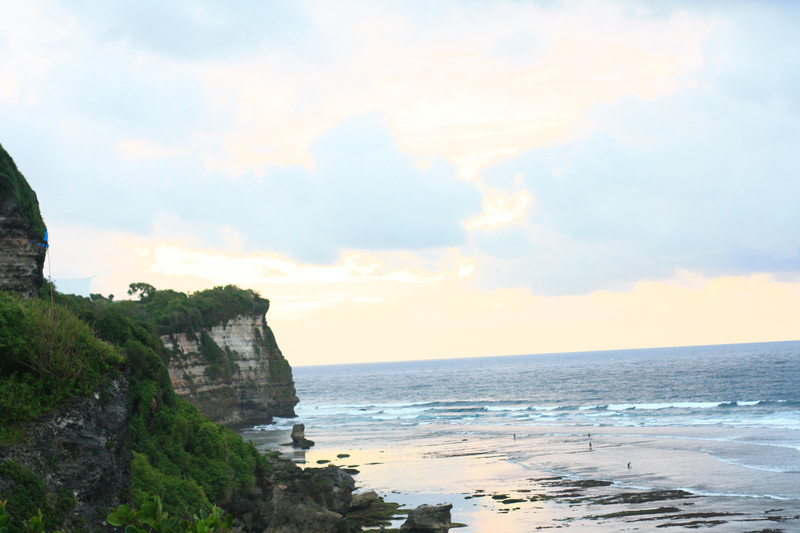 The southern part of Bali is filled with cliff-side resorts. 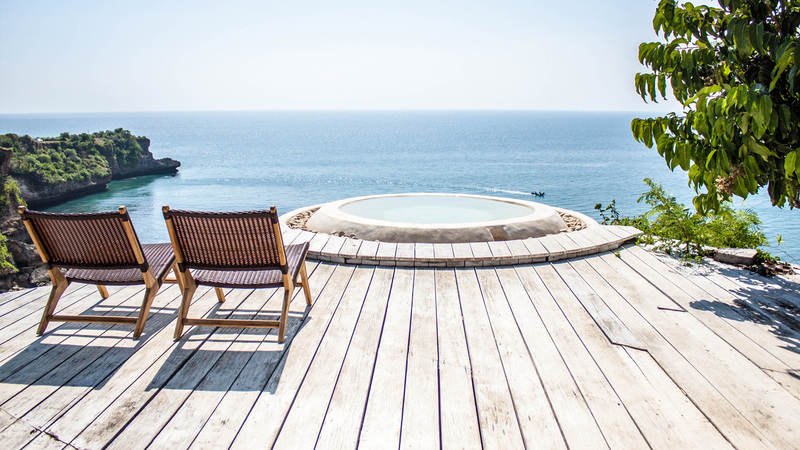 Perfect for a romantic dining and lazy days at the resort, most hotels in Ungasan offers a one-stop solution- high-end accommodations, spa, and dining. Go to the up and coming beach tourist spot called Melasti Beach with limestone walls. High End: Banyan Tree Ungasan. Karma Kandara. 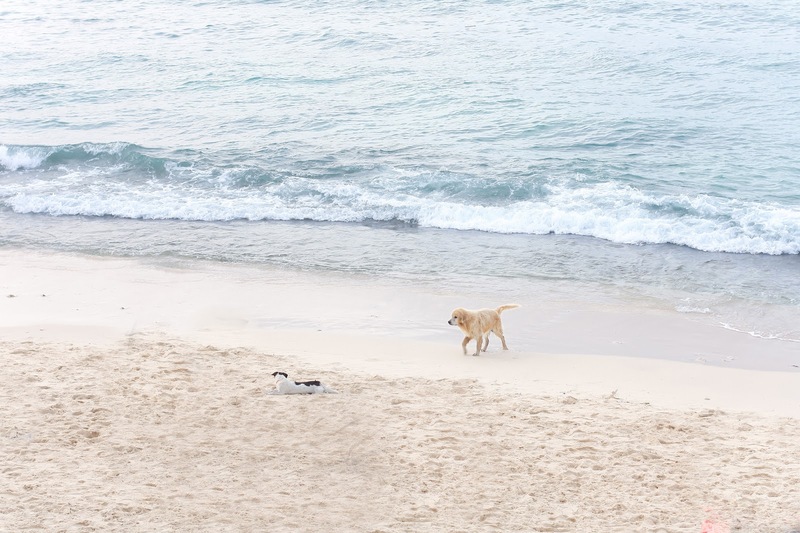 What to do: Visit Melasti Beach. Sun down. Romantic dining. Water Sports. What to Eat: Ju Ma Na at Banyan Tree. 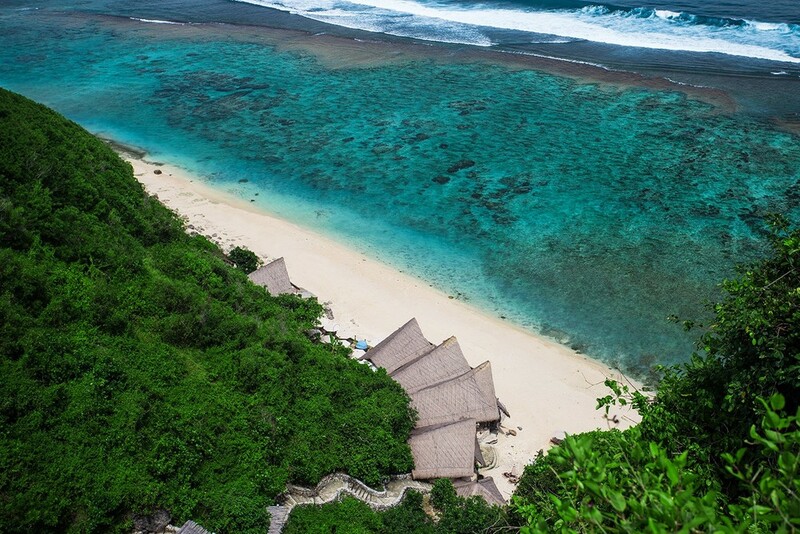 Famous for the beautiful Pura Luhur Uluwatu (Uluwatu Temple) on the cliff edge, this stretch of Pecatu area from south to south-west is filled with various things to do and beautiful hotels. Go to Uluwatu Temple at Sunset to watch Kecak Fire Dance (Balinese dance and drama) set against the endless view of the sky. Perfect arrival at the area is about 4 pm, so you can have sufficient time to look around, find a good seat and watch the performance. A sarong is needed to go to the Temple area. Try to drop by the infamous clear bottom glass pool at 180 degrees The Edge. 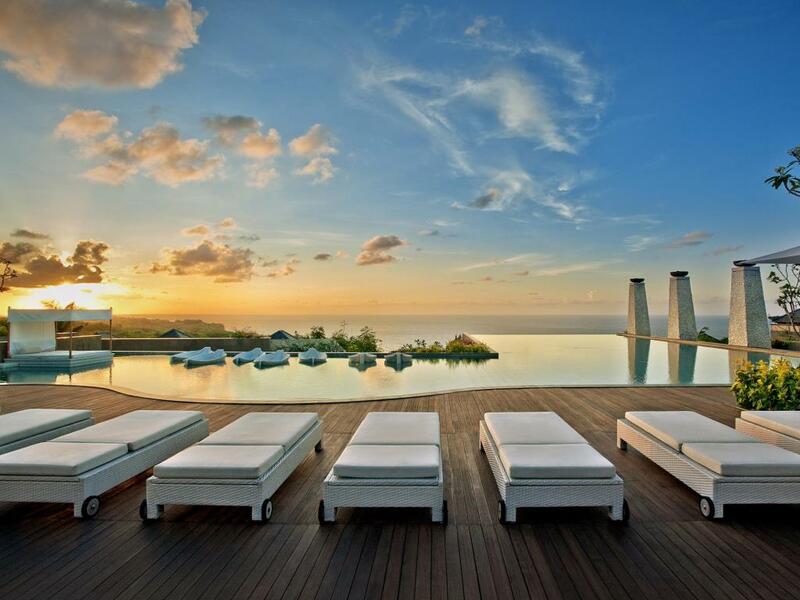 High End: Alila Villas Uluwatu. The Edge. Mid Range: Noah Villa and Chapel. 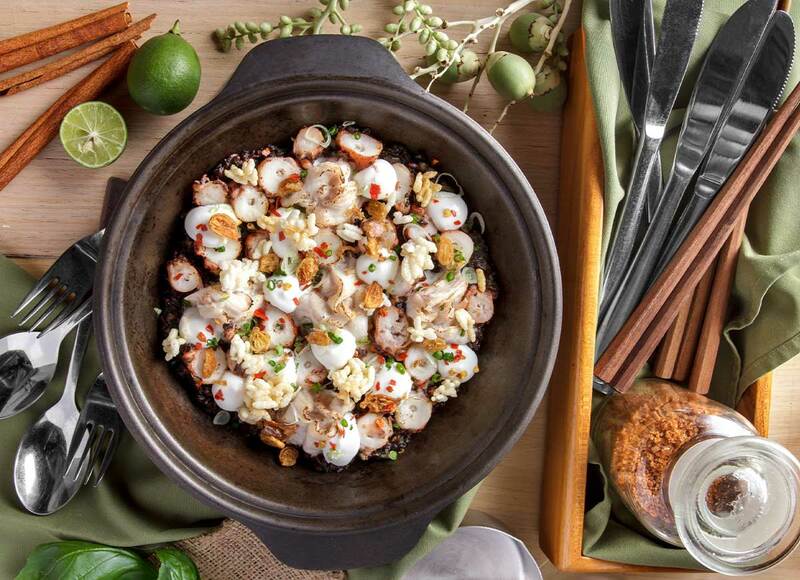 What to Eat: The Warung at Alila. 180 degrees. Filled with caves and rocky limestones, Suluban beach offers quite a different landscape than the rest of the beaches. It is quite challenging to go through the steep rocks and stairs as well (compared to the rest of the beaches). 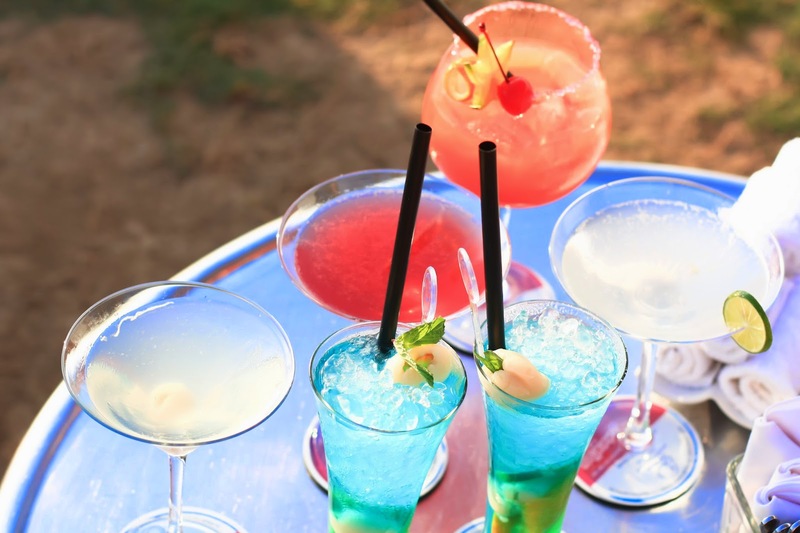 Perfect for surfing and sun-downers, it offers a chill and no-frills atmosphere. Go to the Single Fin on a sunday night as they have their own dj and music set. 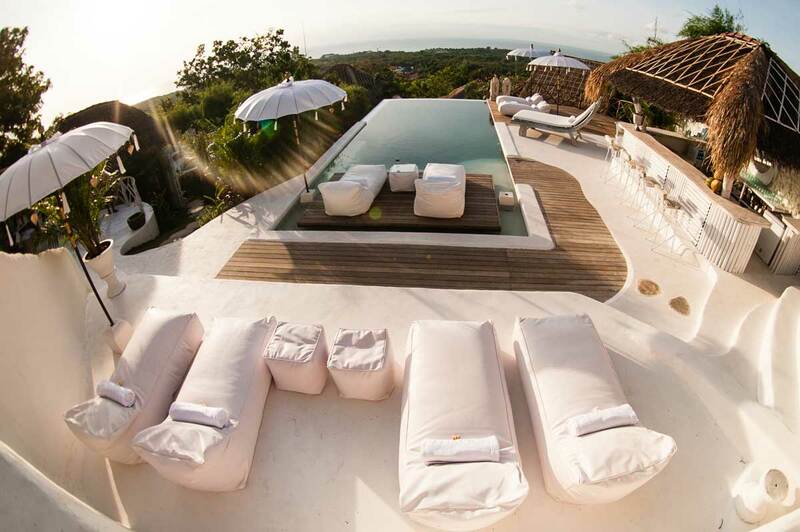 Where to stay: Uluwatu Surf Villas. What to do: Surf. Sun Down. Yoga at Uluwatu Surf Villas. What to Eat: Single Fin. I recently wrote about Padang Padang in this post right here. It is a hidden gem! This area is filled with various delicious warung, new Ulu Cliffhouse Bar, and several accommodations from resort to Airbnb. What's not to love! We spent the 2018 new year here and could not be happier as it is far from crowd, yet giving you the sense of "private" back to nature view. High end: Suarga Padang padang. What to do: Surf. Relaxing at the Beach. Shop: Totem Bali Store. Drifter Surf Shop. With new accommodations sprouting once in a while, Bingin becomes of the hipster surf venue in The Bukit area. People like me who don't surf can just chill and enjoy a tranquil sight, have drinks and healthy smoothie bowl, and play by the beach. All little shops and accommodations are inter- connected with stairs. You need to go down several steep steps towards the beach, but not as high as the ones in Uluwatu/Pecatu or Padang Padang area, See my full Bingin blog post here. High end: The Temple Lodge. Mid Range: Sal Secret Spot. Budget: The Inn Possible. Sun And Surf Stay. What to do: Surf. Swim. 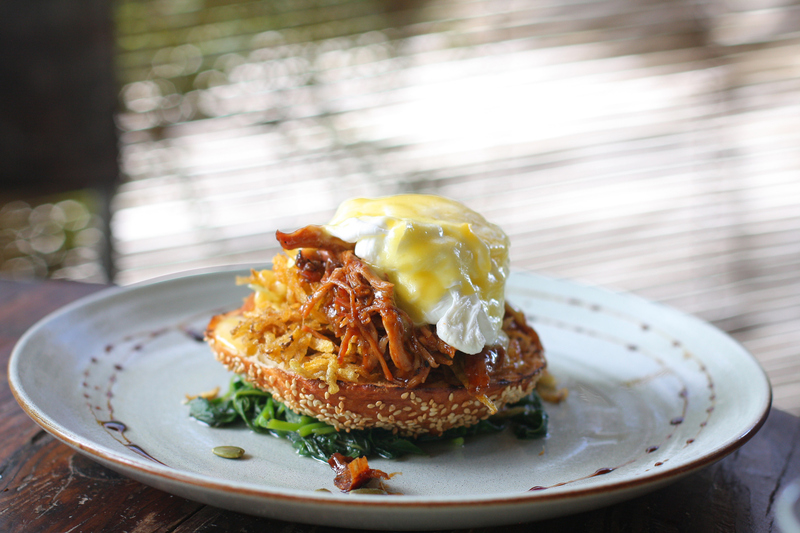 What to Eat: Kelly's Warung. Cashew Tree at Bingin. The Temple Lodge. This area is mainly famous for the New Kuta Golf Course nearby. Most probably nothing much to do except the infamous El Kabron Spanish Restaurant and Cliff Club. More about the restaurant here. 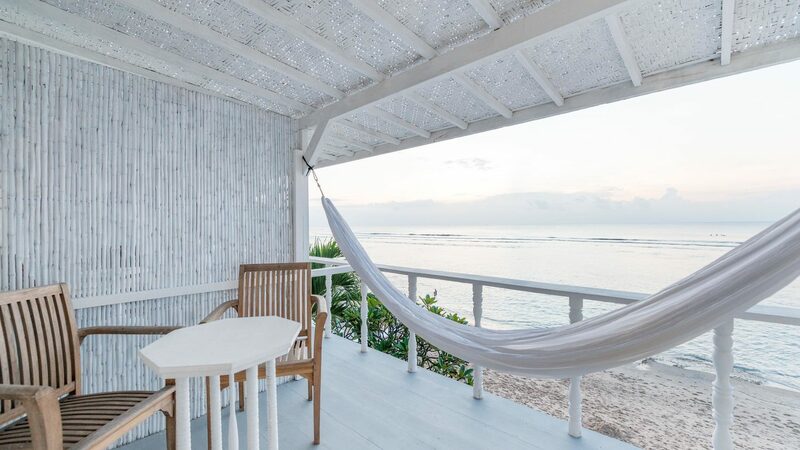 Dreamland beach has been known as one of the surf and water sports spots for years, the neighbouring beach, Balangan, on the other hand, has just grown famous recently after hip accommodations started to grow. Famous for its seafood restaurant by the beach, Jimbaran bay is the closest beach to City centre compared to the other beaches in The Bukit. 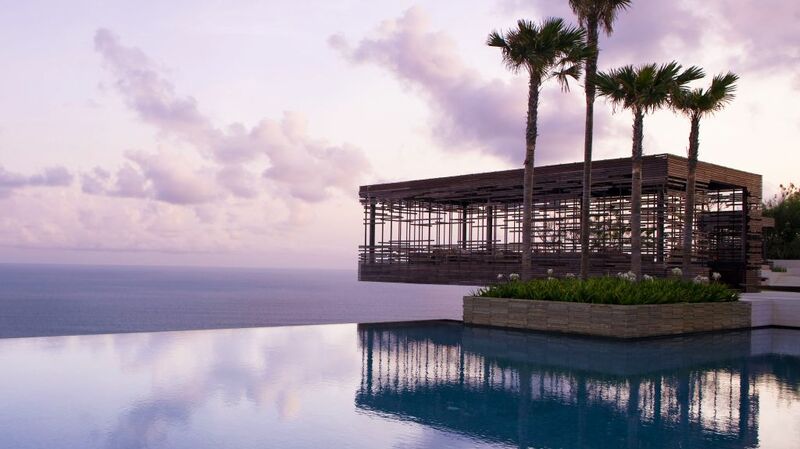 High end: Ayana Resort. 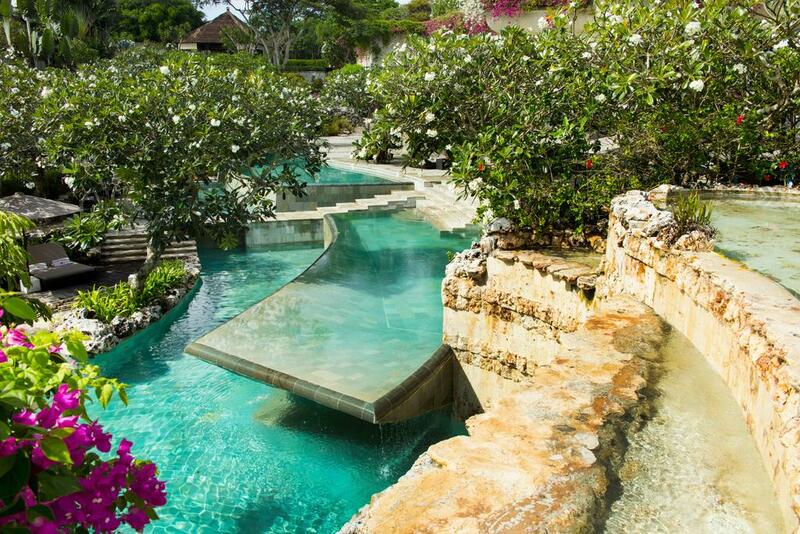 Four Season Resort Jimbaran. What to eat: Cuca. 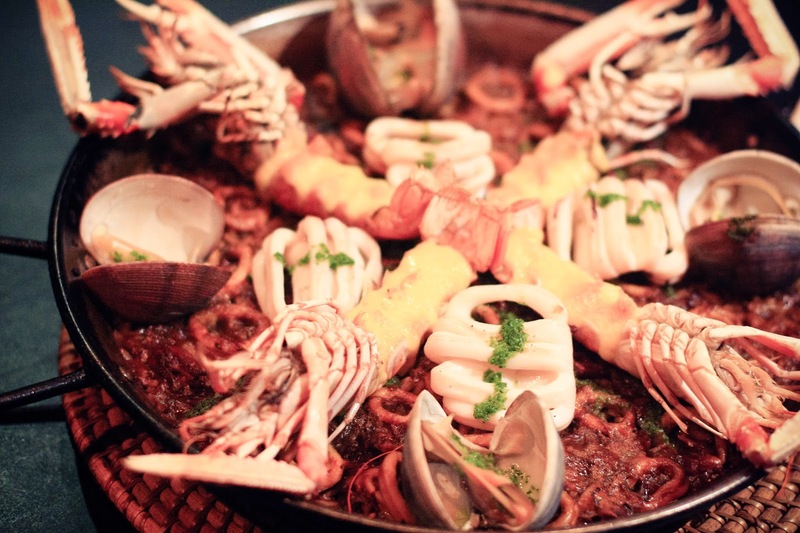 Seafood Menega. Bar: Rimba Jimbaran By Ayana. Rock Bar. 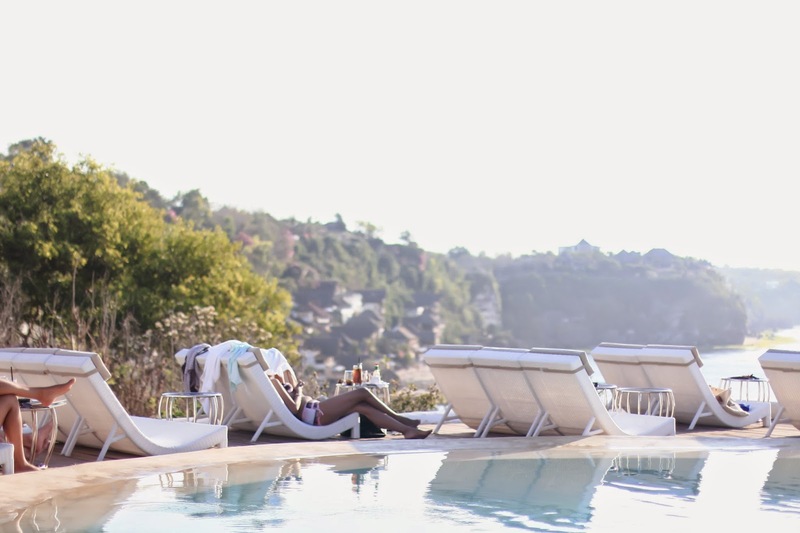 I hope you have an overview of what Bali Bukit Peninsula has to offer! So which part of The Bukit is your favourite? Stay tuned because this article will still be edited from time to time! hotel photos belong to respective hotels. Above all else, I'm totally blown away by how beautiful the sky and water looks in each and every one of these photos. Wow! 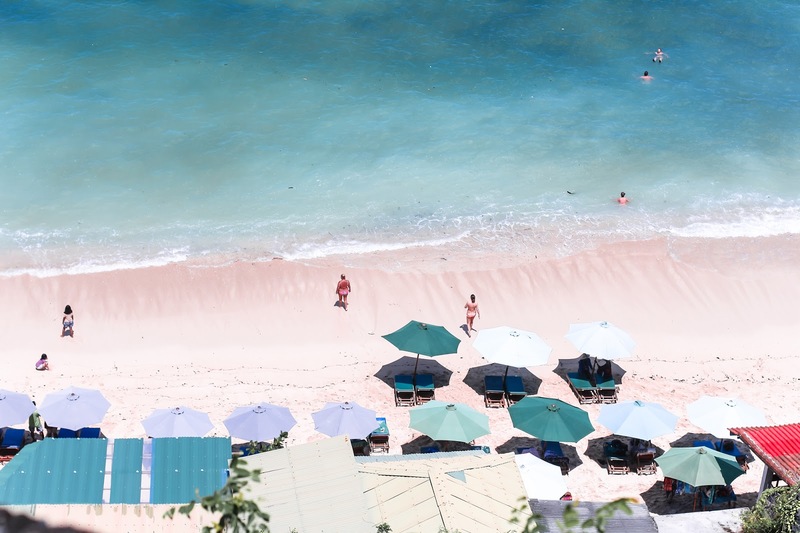 Dear, your photos are breathtaking , especially aerial shot of hte beach club. Nicely done! This looks like a dream! So pretty!